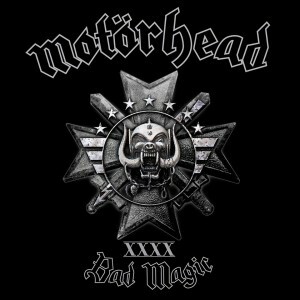 Motörhead are scheduled to release their 22nd studio album Bad Magic on August 28, 2015 via UDR Music / Motörhead Music. Motörhead will once again hit the road in the last half of 2015. The band’s North American tour with Anthrax started in mid-August 2015 and will end with the now legendary Motörboat cruise between Sept 28th and Oct 2nd from Miami, Florida to Nassau in the Bahamas, which also features Slayer and Anthrax among a bumper line‐up of bands. Motörhead’s 40th Anniversary European Winter tour will start on November 15, 2015 at Le Zenith in Paris, ending on December 6, 2015 at the Hartwell Arena in Helsinki, Finland. More tour dates are expected to be announced.